From the 13th to the 16th of October, Enier has been present at Interlift, the reference fair within the elevation sector, which took place in Augsburg, Germany. The assessment made by the Company on this first experience is very positive, as it has allowed us to contact more than two hundred companies which are interested in our range of elevating products as well as forklifts for private use as well as the industrial, commerce and catering industries. Interlift is the biggest fair dedicated to elevation equipment as well as the place to meet for manufacturers, distributors and suppliers within the industry.This explains why the contacts made by Enier originate from Europe, America, Asia, The Middle East as well as Oceania. 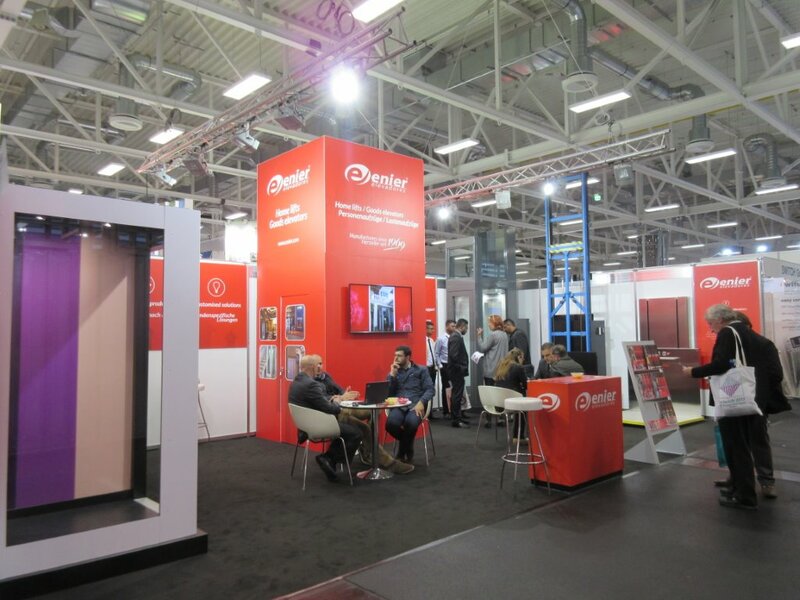 Despite the competitive environment that participating in a fair with more than five hundred exhibitors entails, Enier´s products success has been very high and has allowed contact with possible distributors and component suppliers. Enier offers complete technical support to all distributors, both in the process of design and adapting the product to specific customer needs such as installation and assembly. Enier’s favorable reception at Interlift strengthens international strategies and cements the possibility of opening onto new target markets.